Southgate House is a classic example of a modest Georgian country house, a small but sparkling gem located near Clowne in the north-eastern corner of Derbyshire in the border triangle of Derbyshire, Nottinghamshire and South Yorkshire (53.288836°N 1.254169°W). 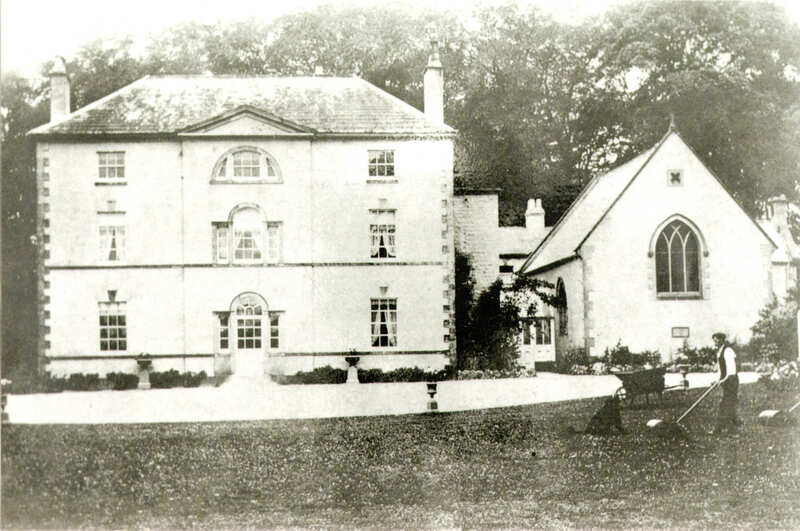 For the most part it belonged to the well-known Butler-Bowdon family, members of the landed gentry originating from Cheshire and from Lancashire. 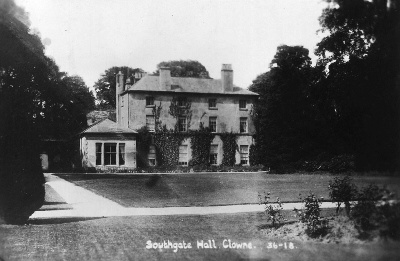 Southgate House was the family’s main seat for about 150 years. Having survived until today it is a paragon of a country house which was permanently inhabited, rather than merely a summer residence for affluent metropolitans or industrialists. It provides a microcosm of the social history of England over two and a half centuries. 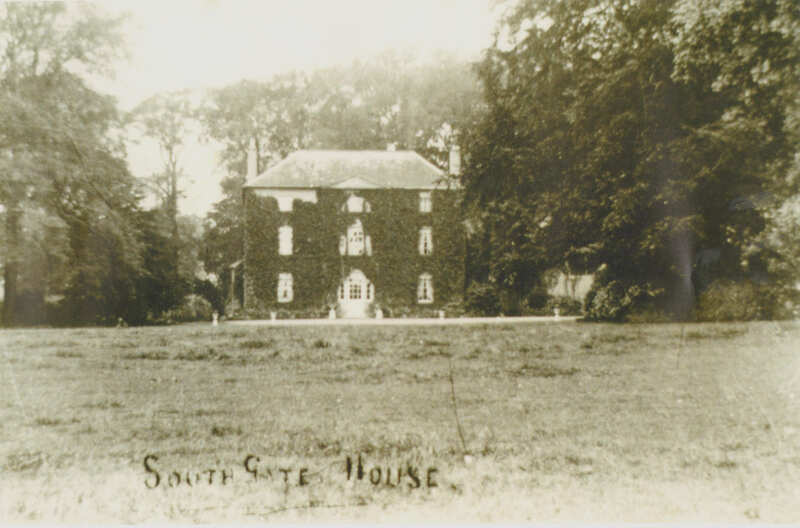 Southgate House and Estate is a mirror of its times, an English country house which has weathered the stormy seas of history relatively unscathed. Its good fortune is no doubt largely due to the prudent conduct of its owners, the Butler-Bowdon family and the sensible proprietors succeeding them. 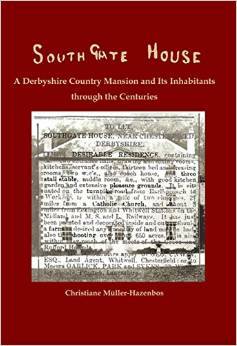 The available historical sources show not only how Southgate thrived and expanded, how outbuildings, farms and arable land were added to the estate, but also how the house suffered during the great agricultural depression at the end of the 19th century, how it witnessed the tragic consequences of WWI, and how it played its part in the drastic measures that were undertaken during the Second World War until it was finally granted a new life today as a splendid hotel and restaurant (“Van Dyk Hotel”, click here). Southgate House has been home to beautiful treasures of art. The most notable one is a unique mediaeval copy of the famous 'Book of Margery Kempe' (British Library, London, MS Additional 61823; original manuscript is lost today). Another significant object of value is the richly adorned and embroidered 'Butler-Bowdon Cope' from the early 14th century (Victoria and Albert Museum, London, Inv. No. T36-1955) as is the middle panel of a carved ivory triptych of French origin depicting the death and the subsequent coronation of the Virgin Mary from the 14th century (Victoria and Albert Museum, London, Inv. No. A.5-1941). A beautiful stained glass window, most likely manufactured between 1898 and 1907 by John Hardman & Co., Birmingham, had been an integral part of Southgate Chapel. 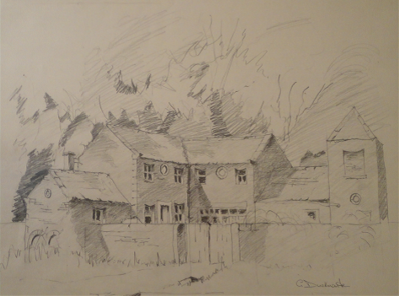 Since 1953 the window is incorporated into the architecture of Pleasington Priory near Blackburn. Southgate House as it presents itself today has certainly undergone exterior and interior changes over the two hundred years since it was built, so not everything of its original appearance has been preserved, but it seems as if these changes have not been major. Various black and white photographs from the past decennia (click here) show a square and compact house almost resembling an urban villa with three storeys, a truncated pyramid of a roof with two chimneys to the left and to the right and a centred pediment; the frontage of the building bearing a strong geometrical segmentation gained by means of horizontal and vertical alignments in the strictest symmetry. The decreasing size of the windows with every floor serves to further underline the vertical façade design. Alterations to the exterior layout, apart from times when the mansion was partially or entirely covered by climbing plants, could not be detected on the basis of the available photographs, but today the two chimneys have gone. The tripartite front is entirely unembellished, but it reverberates the spirit of the Georgian era/Neoclassic style - although in an extremely reduced and sober way. Following the needs of today’s use, the interior of the house has undoubtedly seen some changes in regard to room arrangements and its floor plan, but what is clearly left from the original structural shell are its strikingly low ceilings. The purpose of this website is to offer a forum of discussion to interested parties. Feel free to register and get in touch with me. Any comment and contribution to the subject is welcome and I will try to reply to every message or entry in a timely manner. Please click here to view the Butler-Bowdon family tree according to one source, and click here to view a second, alternative version of the pedigree according to another source.